All this week, Yukon hospitals are encouraging patients, staff and the community to become more aware of antibiotic use. That’s because antibiotic resistance is a growing threat to the advances we’ve made in health and medicine. While antibiotic resistance occurs naturally, misuse of antibiotics in humans and animals is accelerating the process. By 2050, inability to treat resistant bacteria will be a leading cause of death. 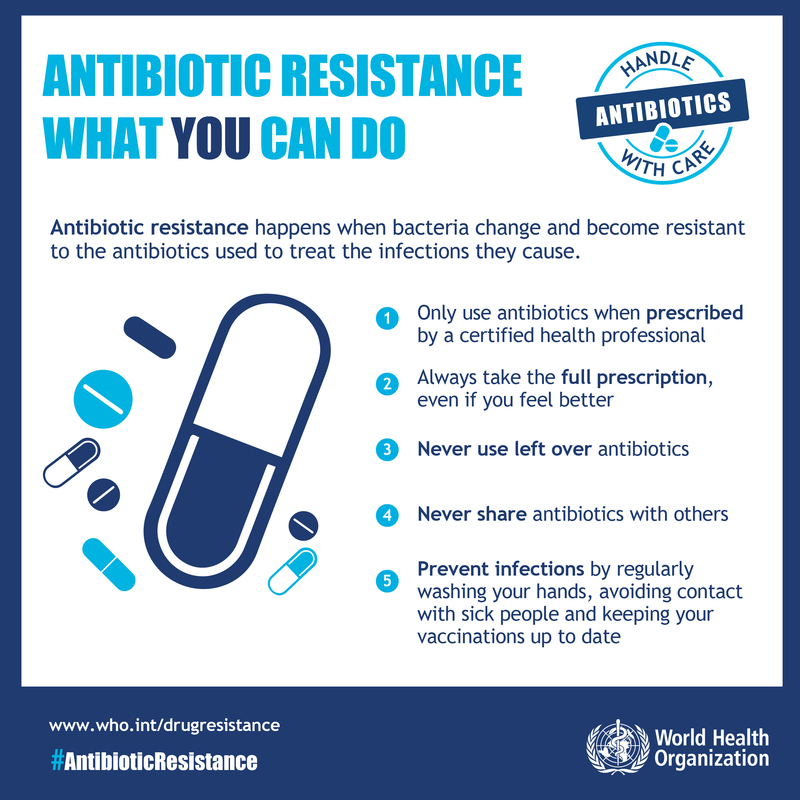 Antibiotic resistance happens when bacteria change and become resistant to the antibiotics used to treat the infections they cause. Over-use and misuse of antibiotics increases the development of resistant bacteria. In fact, some of our practices, gaps in understanding and misconceptions can contribute to this phenomenon. On average, a person has eight viral infections each year. What’s more, nearly 64% of respondents to a recent World Health Organization (WHO) survey believe antibiotics can be used to treat colds and flu, despite the fact that antibiotics have no impact on viruses.